Place the sausages under the grill and cook for about 15 minutes, turning regularly, until evenly browned all over and cooked through.Meanwhile, cook the potatoes and parsnip in a saucepan of boiling water for 15 minutes, or until tender.At the same time, put the tomatoes, the kidney or barlotti beans, chutney and paprika in a saucepan and heat gently until bubbling.Remove the sausages from the grill (leave the grill on). Allow to cool slightly, then cut each one diagonally into 4 thick slices. Add them to the tomato and bean mixture. Pour into a flame proof dish.Drain the potatoes and parsnip, and mash with the milk and oil. Season with salt and pepper to taste.Spoon the mash evenly over the top of the sausage and bean mixture. Brown under the grill for 5 minutes, or until golden and crisp. Coconut Impossible Pie is incredibly easy to make, you literally throw in all the ingredients and it magically forms three delicious layers. A base, a creamy custard filling and a delicious crust on top. So easy, even the kids could have a go! Place all the ingredients in a bowl and mix with electric beaters until well combined. Pour into a greased pie dish and bake for 1 hour at 180 degrees. Serve warm with cream. ?Coconut Impossible Pie is not suitable for freezing. ?For a dairy free version, substitute the milk with rice milk or oat milk. ?For a gluten free version, substitute the flour with gluten free flour. In a large pot, add the (1.5 litre) bottle of Coca-Cola, onion, garlic, bay leaves and peppercorns. Add the ribs and, if necessary a bit of water just to ensure the ribs are submerged completely. Bring to a boil and reduce heat to a simmer, turning the ribs occasionally, until the meat pulls away from the bone, about 1 hour. Meanwhile, to make the sauce combine the butter, onion, garlic, ketchup, mustard, brown sugar, Worcestershire sauce, and (12 ounces) 375 mls Coca-Cola in large heavy sauce pan. Bring to a boil and reduce heat. Simmer for about 25 minutes stirring often until sauce is thickened and reduced. Season to taste with salt and pepper and let cool slightly. Using a blender, puree the sauce. Note: Sauce can be made up to 5 days ahead and stored in the refrigerator in an air-tight container. Remove the ribs from the pot, pat dry, season with salt and pepper and brush liberally with the sauce. Grill, turning often, until charred on the outside, about 8 minutes. Loosely tent the ribs with foil and let rest for 5 minutes before cutting into individual ribs. Serve extra sauce on the side for dipping. 1/4 Cup Lemon Juice add more to taste. If Camping a packet of 90 second rice is really worth while taking with you. Mix Mince, Garlic, Egg & Onion and then form into small Meatballs put to side. Carefully drop Meatballs in bring back to the boil then simmer for 30 minutes or longer if you wish. Whether you use pork loin or shoulder is a personal preference, so choose accordingly, but remember that the shoulder meat will have more fat to it than loin meat and produce a juicier barbecue. Place the pork roast on a shallow rack in a 12" deep Dutch oven, prepared for baking at 300?. 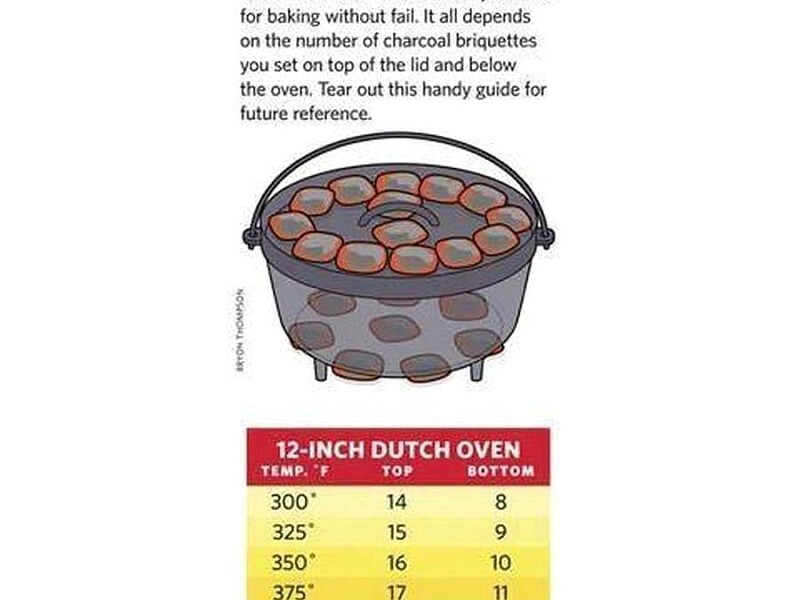 I use 10-12 coals under and 8-10 coals on top of the Dutch oven. Next add 2 carrots, 2 stalks of celery, and 2 cups of water to the Dutch oven. Slow-cook the pork for 2-3 hours, depending on size, until the fats are broken down and the meat is tender enough to easily pull apart with a fork. 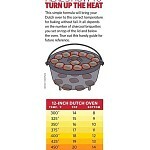 While slow-cooking, replenish the coals as needed and rotate the Dutch oven and lid occasionally to avoid any hot spots. While the lid is off to be rotated, marinade the roast with the juices and check the water level. Add more water as needed so that there's always some under the roast. When the pork is done, cover it and set it aside for about an hour to cool before pulling it. While waiting for the pork to cool down, prepare the serving sauce: strain 1 cup of the pork drippings from the Dutch oven and blend it with the other sauce ingredients: vinegar, brown sugar, tamato sauce, cayenne, and salt. When it's cooled, shred the pork into a large pot, stir in the sauce, and heat. Serve hot on a bun with cole slaw and potato chips. Cook bacon until crisp and drain on a paper towel. Crumble when cool and set aside. Peel and slice potatoes, placing them on a 9-inch by 13-inch double layer of foil as you go. Separate the onion slices into rings and layer over potato slices. Add the crumbled bacon, cheese, pepper and parsley. Dot potatoes with butter and drizzle with bacon fat. Wrap foil loosely around potatoes, making sure ends are well sealed. Cook about 4 inches from hot coals on grill for about 1 hour or until tender. Turn package often to keep from burning. anything else that takes your fancy! Place the potato slices and bacon and diced onion into a greased oven proof dish or your camp oven. Combine the soup mix with the cream and pour over the potatoes. Season with salt & pepper to taste. Top with as much or as little cheese as you like. Cover and bake in a mod-hot oven (200(C) for approx 45 mins, or until the potatoes are cooked and the cheese is golden brown. Or bake in your camp oven, and remember to put some coals on top to help brown the cheese. Sift flour powdered milk into a bowl and then rub in butter using your fingers [wash hands in case you have just changed the oil in your car] until a breadcrumb like texture. Mix in fluid using a knife. When the mixture resembles a dough like consistency, turn out on a floured surface and form into a round loaf. Make a cut on top to allow for rising, place into a camp oven and cook 20 to 30 mins depending on heat of the fire coals. Melt butter in a saucepan add onion and cook till clear, adding the curry powder lastly. Turn down the heat to low. Thicken with the plain flour. Then add cream and tomatoes, you can puree the tomatoes a bit more if you like. Add the prawns. Serve with boiled rice. If using large prawns, cut into smaller pieces.